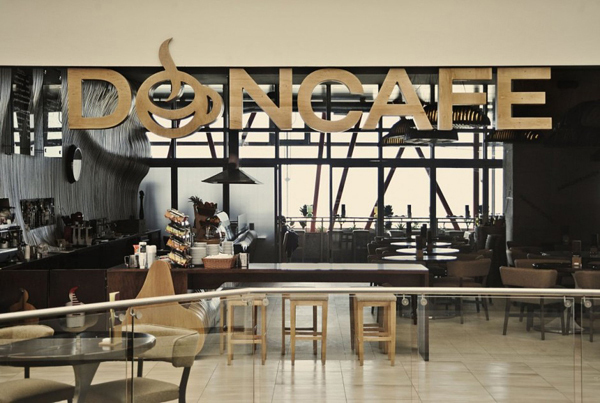 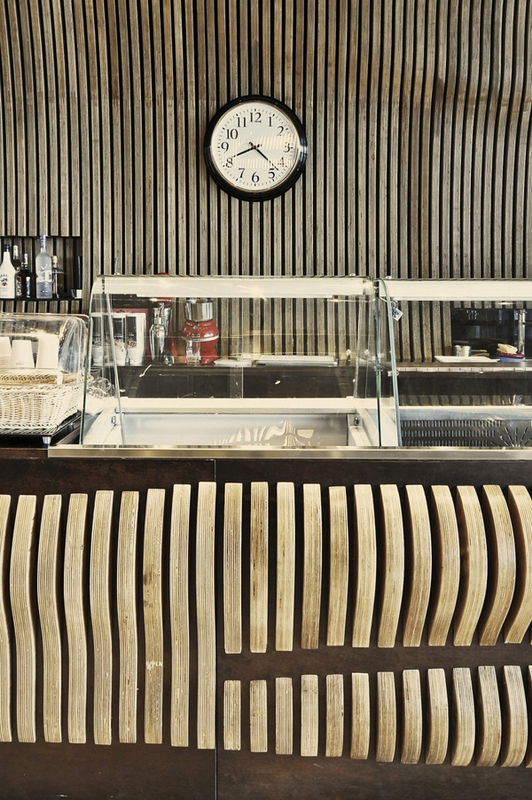 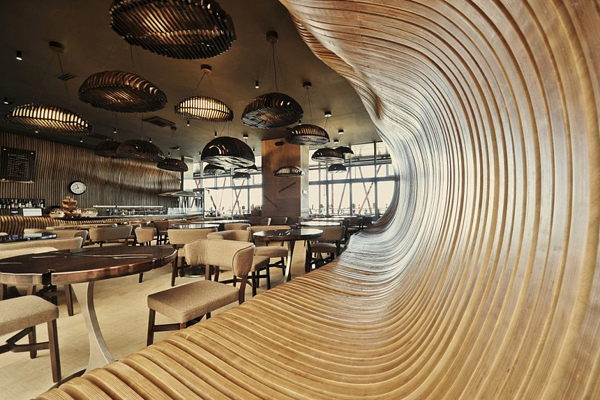 Innarch have designed the Don Café House in Pristina, Kosovo. 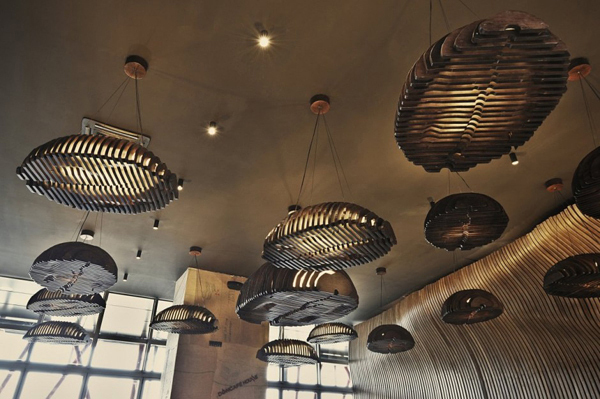 “The idea / inspiration for the design derives from sack filled with coffee grains. 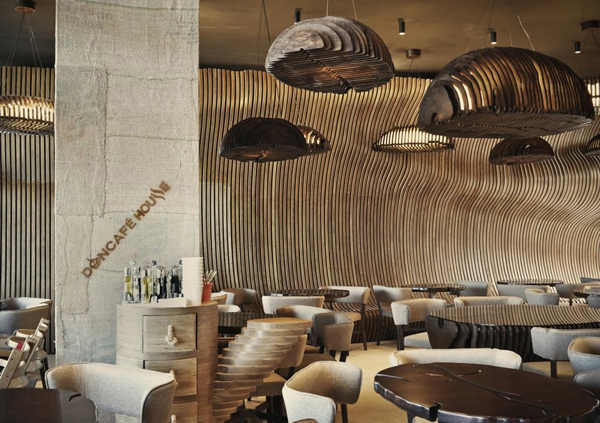 The walls of the bar are organically shaped and colored like coffee sack made up of “Plywood” type of wood, whereby the pillars in between are coated with textile coffee sacks. 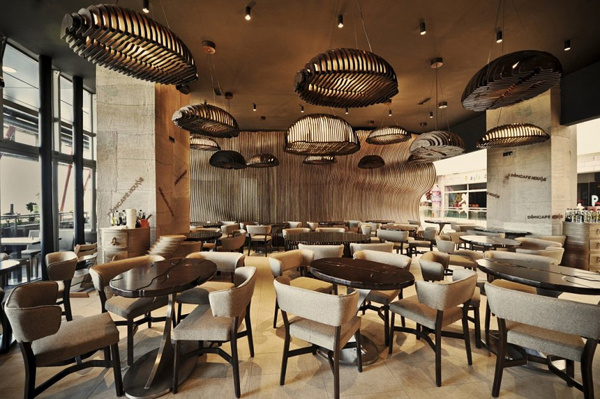 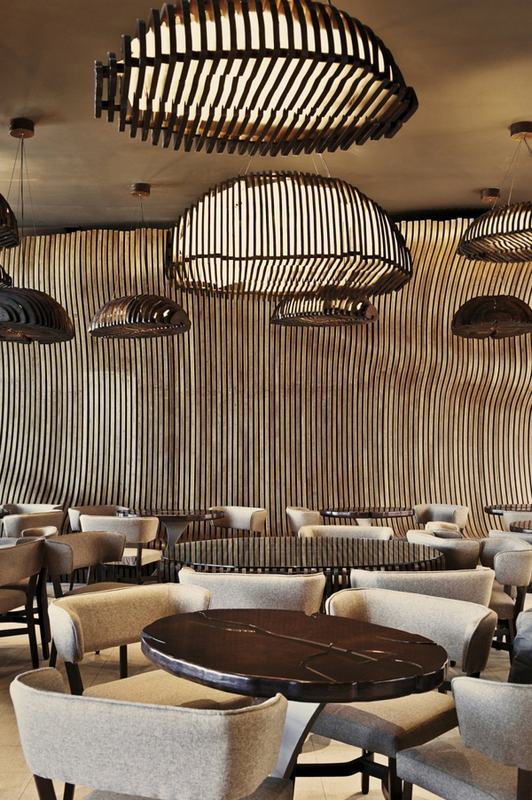 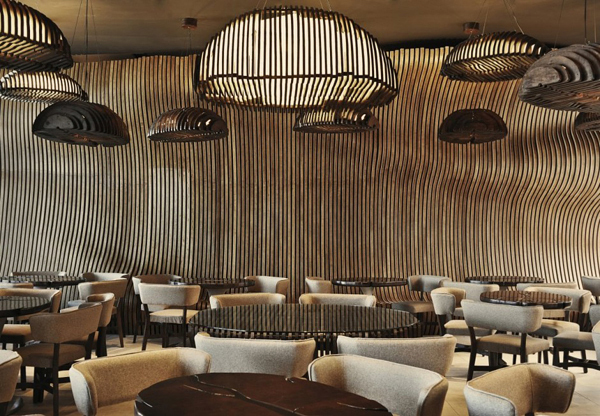 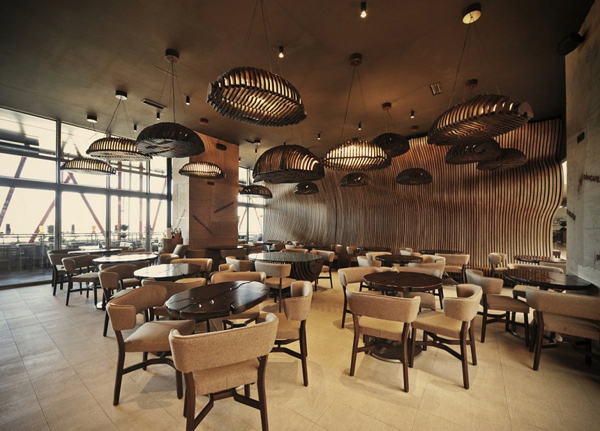 Tables and hanging chandeliers represent the coffee grains lined up asymmetrically in order to generate the impression of being inside a coffee sack. 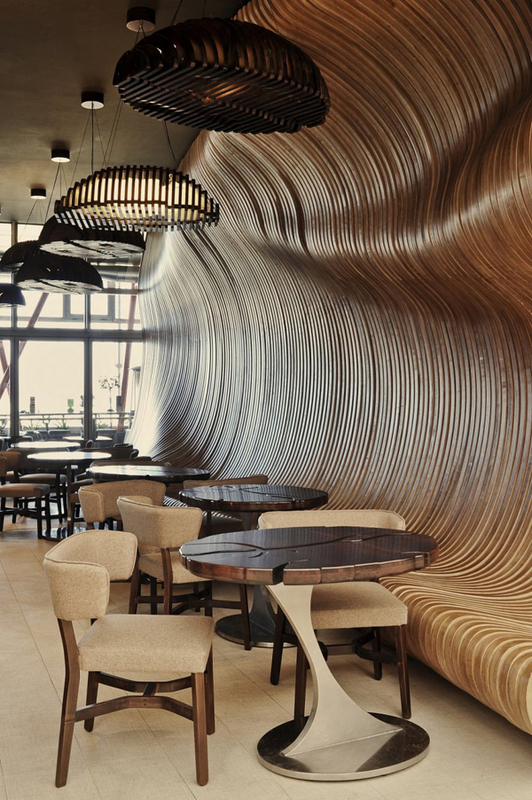 The separating wall has a double function; decorative and functional. 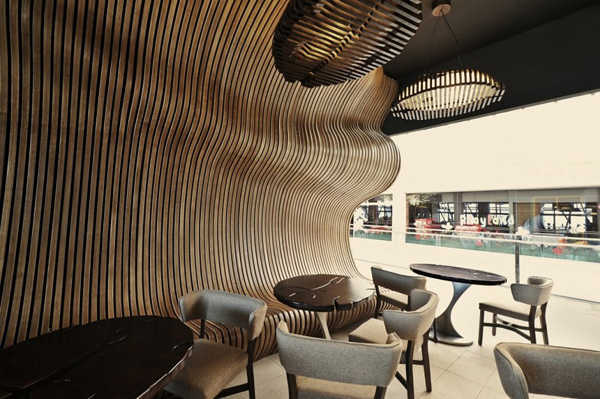 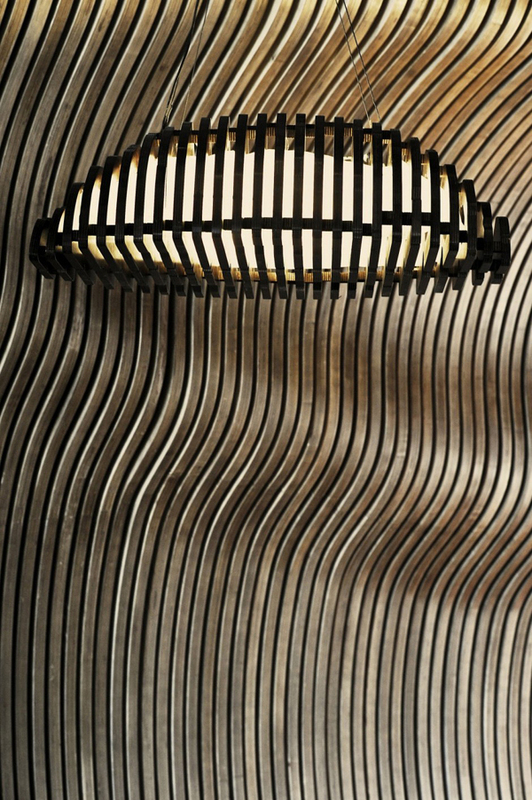 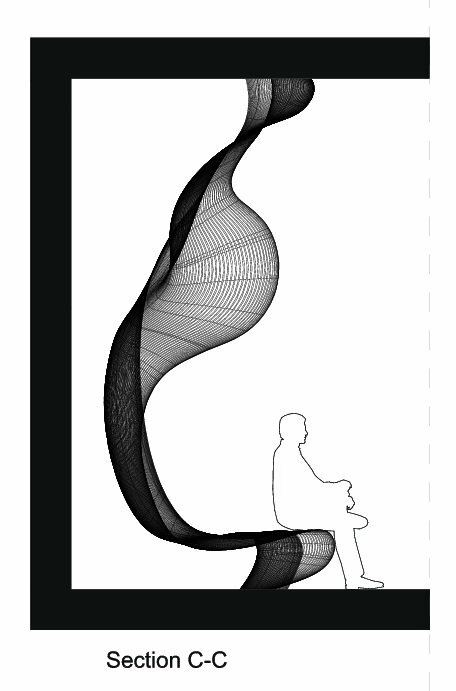 Its organic shape consists the most dominant part of the premise enabling a unique feeling of sitting unlike any other one comes across in everyday life. 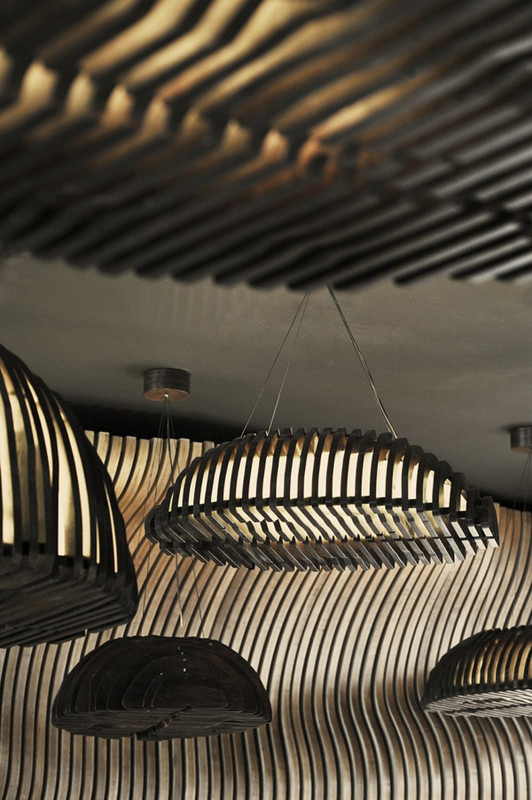 Each of the plywood element was designed individually. 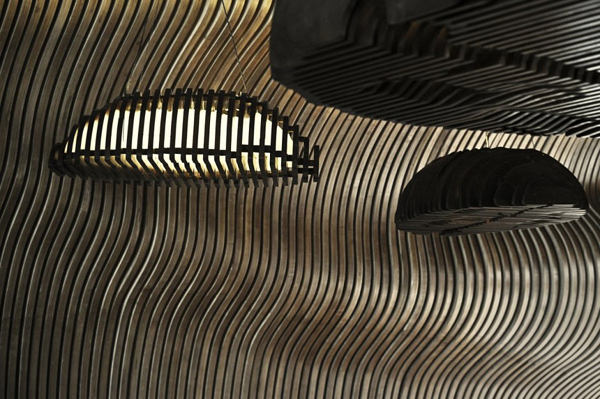 This because for the creation of an entire organic shape, each of the element needs to be designed separately.” Take a look!